Looking for something unique for your next gathering or party? Sunhee and Chinhee Park can provide psychic readings for you and your guests. A psychic reading is perfect for a Christmas party, office party, bridal shower, or just a gathering in your home. Your guests will not only be entertained they may even be changed by the experience. Twin sisters and psychics, Sunhee and Chinhee are well known for their accurate readings. They’ve appeared on radio and television so they know how to interact and entertain large groups. They also have a brash New York style that is direct, and to the point. They know how to work the room so everyone is entertained. Guests will be amused by much of what they say, but they’ll also be surprisingly changed by what Sunhee and Chinhee discover about them. Many guests may be changed forever by their psychic reading and will be forever grateful to you for providing them with the experience. 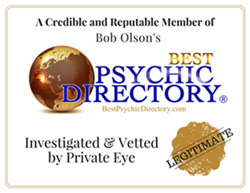 When throwing a psychic party, find out first how many are attending and how many are interested in getting a psychic reading. Chances are, however, that those who are hesitant to participate will soon change their mind, as they see what their friends or colleagues are experiencing. Sunhee and Chinhee both give messages of clairvoyant, mediumship, medical intuitive, psychic forecasts, emotional issues and channeling of alive and crossed over spirits. They have Private parties of 5-10 that require a deposit down, half down. Parties of 5 are $300.00, while parties of 5 or more are $200 per hour. Usually appetizers and beverages are included with the price.